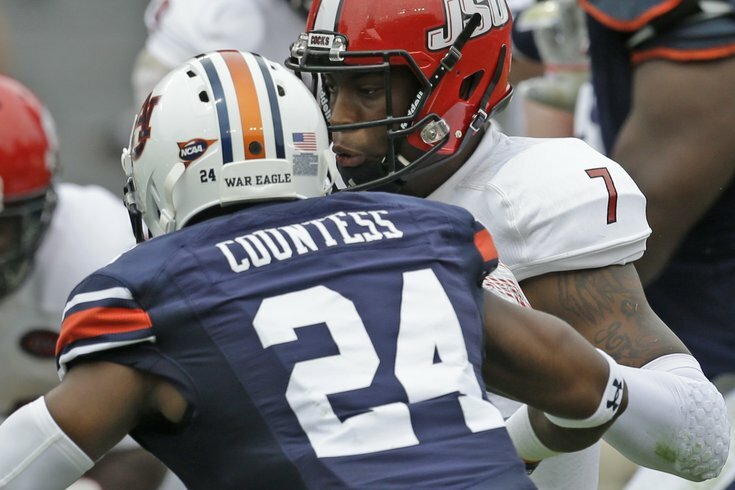 Blake Countess may be small, but he'll hit. While Countess is a hair under 5'10, he is more than willing to stick his nose in, fight through blocks, and make tough tackles. For that reason, the Eagles have been lining Countess up at safety through OTAs and minicamp. Countess reminds me of another Eagles veteran, acquired this offseason in free agency, Rodney McLeod, another small player who plays bigger than his size. Under the new coaching scheme, the Eagles clearly don't care if their safeties are a little smaller than ideal, so long as they can cover like corners and play with a physical demeanor. McLeod went undrafted when he entered the league in 2012, while Countess didn't come off the board until the sixth round. The Eagles will be thrilled if Countess' career path mirrors McLeod's.